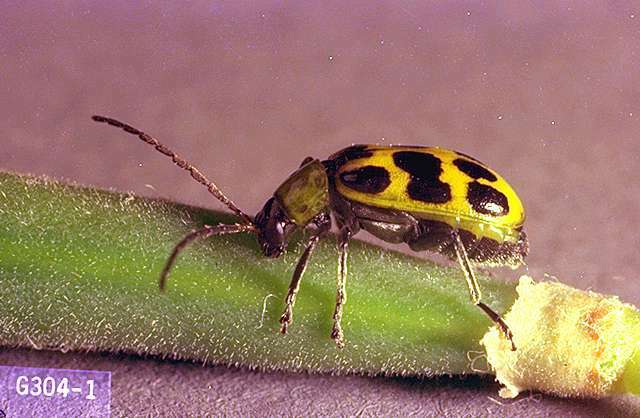 Pest description and damage The adult beetle is yellowish green, 0.25 inch long, and has 11 black spots on its wing covers. 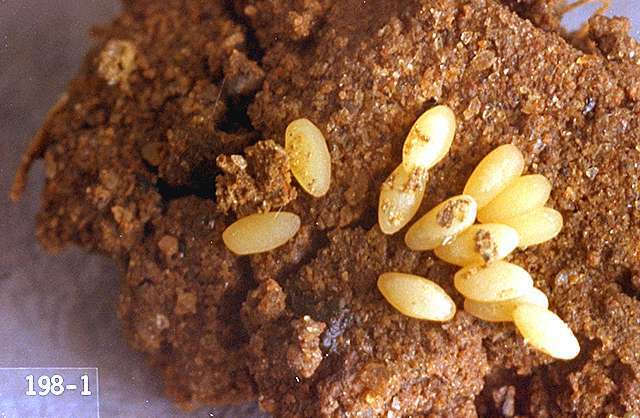 Mature larvae are white, except for the head and last abdominal segment, which are brown. They are about 0.625 inch long. The larvae appear to have "two heads." 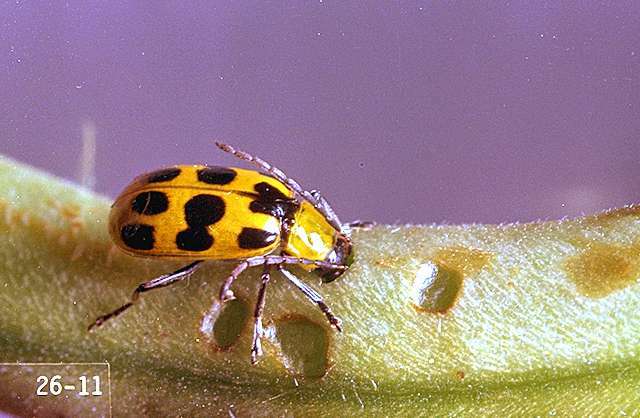 The adult beetles eat small holes in the leaves and blossoms. 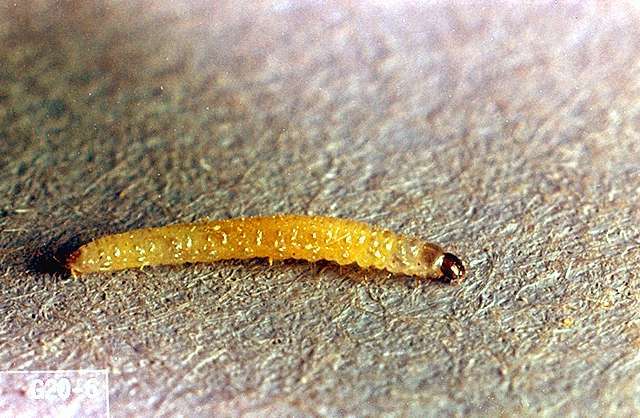 Larvae feed on roots and bore into the base of stems, killing small plants and reducing root mass in mature plants.